One of the things I’ve had a lot of fun with in the past, has been making homemade gifts for some of my family members. In the past, I’ve made homemade vanilla, spice mixes, and more. 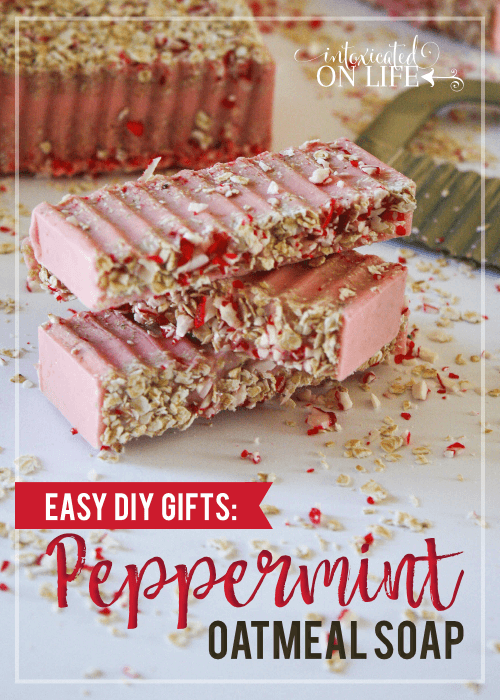 This peppermint oatmeal soap makes both a beautiful and useful gift! I have a few rules when it comes to making gifts. They can’t be too complicated. They should be either meaningful or useful. This soap meets all 3 criteria. 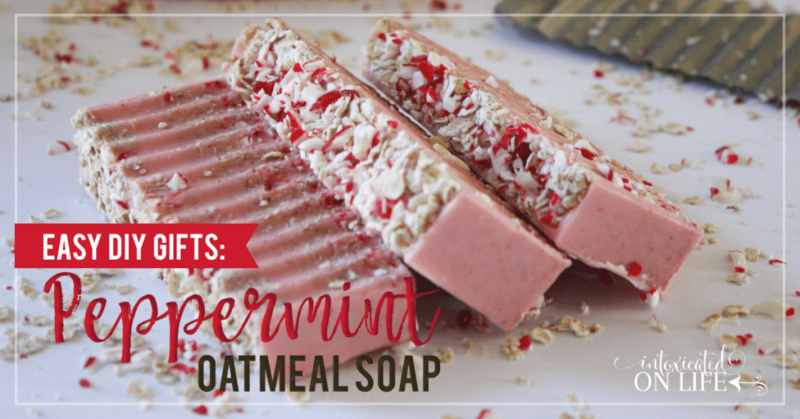 This peppermint oatmeal soap is super easy to make. I made use of a melt and pour soap base. 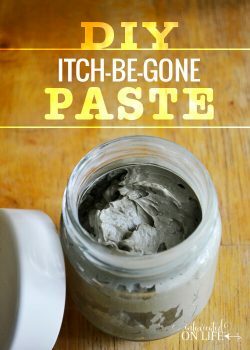 I suppose if you wanted to buy lye and make the soap base yourself, it probably wouldn’t be quite as easy. It’s soap, so it’s also a useful gift. And just look it – it’s beautiful! This soap also utilizes peppermint essential oils. It’s not just a fantastic seasonal scent. 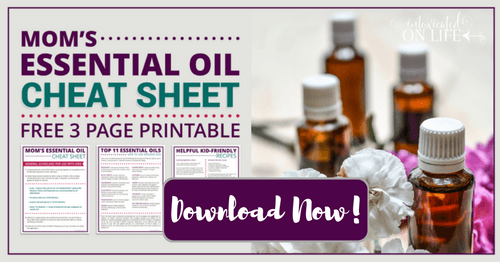 Peppermint essential oils have some fantastic therapeutic benefits. Invigorating when you need an energy boost. Promotes healthy respiratory function and clear breathing. 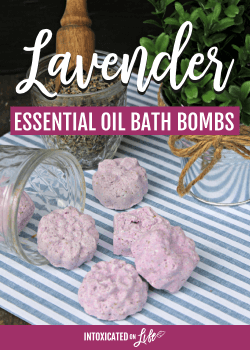 Are you ready to get started making a fun, easy gift for your friends and family? Let’s do it! In a blender mix up with oatmeal and peppermint until it forms a powder. Cut up and melt 2 pounds of soap base. Immediately stir the oatmeal and peppermint powder into the melted soap base. Add 20 drops of peppermint essential oil and stir. 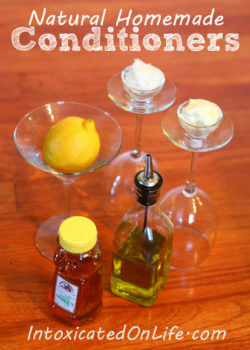 Pour mixture into your soap basin. If you're going for looks, gently spread optional oatmeal and crushed peppermint on top of the soap. If you're going for functional, you can skip this. You'll still have beautiful pink oatmeal peppermint soap without it! Allow the soap to set for an hour. After firm remove from mold and slice. What are some of your favorite EASY gifts? Share your ideas in the comments. Let’s help each other come up with some new, fun ideas this Christmas!